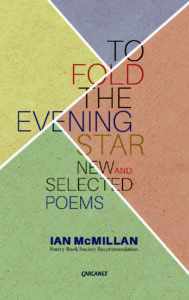 In this interview with Ian McMillan, The London Magazine’s Editor, Steven O’Brien, and Production Manager, Rachel Chanter, discuss Ian McMillan’s most recent collection of selected poems, To Fold the Evening Star. SO’B: I was just reading an old, friendly poem in To Fold the Evening Star, one I haven’t read for ages – ‘It’s Only a Novelty Coronation Street Alarm Clock’. How did you decide which poems to select? IM: Well there were some newer ones that hadn’t been published anywhere, and then there were the three Smith|Doorstop pamphlets which I put in as they were. After writing lots of other kinds of things for a few years, lyrics, librettos and non-fiction, suddenly I had a rush of writing poems, but those three pamphlets I kept. Going back and looking at stuff from 1994, things that maybe didn’t seem to work as well I didn’t include, but most of it I kept. I was just amazed about how much there was. When I got the proof and it was 200 odd pages! Goodness me. That’s amazing, you’re very prolific! Well I am really but I didn’t realise I was that prolific! Thing is, I’m not a great archiver or keeper of things. I’m always more interested in the thing I’m writing today rather than what I’ll write tomorrow. When I look back at all these poems I just think, yes I have written a lot, and I’m certainly interested in them, but I’m always more interested in the thing I’m going to do next. So, it’s a pleasant surprise when you find a poem and think god, I’d forgotten about that one! What’s it like to look at back at the ‘archived self’? It’s just like when you get old photographs out the biscuit tin and you think, who’s that little lad? Who is that, that dark haired young lad, that fella right on the edge of the picture? Sometimes I read poems that I’ve written and I wonder what I was thinking about when I wrote that. Because I’ve been around for so long, this is the second book of selected poems that I’ve had. The first one came out in the late eighties, so that’s even stranger, looking back all those years. But you find these poems and you think oh, look at these old friends, look at these acquaintances… who are these strangers? It’s a fascinating process – it could make you nostalgic, I try not to let that happen. I try to make it remind me that I can still carry on writing poems. I suppose it’s like when you put a piece of wood and put it under a piano to stop it wobbling – it’s something that stops you thinking ‘well I’ve never written any poems before’, instead it reminds you that you actually have written quite a few, and I can carry on and write some more. How do you feel about being referred to as the ‘John Peel‘ of poetry? That’s an ancient thing that Alec Finlay said about me many years ago – partly because John Peel likes picking up new bands and new music – with poetry I get very excited by new voices, poetry by people I’ve not read before, by people who show promise. This is partly because people send me poems, partly because I’m always reading poems. I feel like we’re in a good time for poetry at the moment, lots of people are writing poems and I just still get excited finding new voices, so that’s the John Peel of poetry, really. Also I wear shapeless cardigans like he used to. You said we’re in a good time for poetry at the moment. Can you comment on how and why that is so? I think the profile [of contemporary poetry] is high at the moment and it’s partly due – I’m not being flattering – to magazines like The London Magazine that have been around for a long time. It’s also to do with the fact that creative writing is being taught at universities. Now that’s increasing – it’s a bit like with music and art colleges – writers are appearing. They’ve been taught for three years, and now they’re setting up magazines and readings, doing events. Then there’s National Poetry Day… poetry just seems to be part of the nation’s cultural toolbox. I mean, it always was but when I look back to when I first started in the mid 70s, there were magazines around but there’s a lot more around now, so I think poetry is in a good place. There’s more people reading it, more people writing it, it seems to have a higher profile than it has for a while. There’s all kinds of reasons for this, things like the T. S. Eliot Prize doing well, the Forward Prizes, all these big prizes. Carol Ann Duffy is also doing a great job as poet laureate, as Andrew Motion did before her – they upped the profile a bit. So it’s becoming like an ordinary thing to do, in a good way, it can take its place alongside theatre, film and music as the things people look at when they’re thinking of culture. And you yourself have embraced a public role as a very generous ‘promotive’ poet. What can you say about that? Well I’ve always enjoyed reading other people’s work, and there was a young writer, when I first started, that I was praised by, called Pete Morgan. I used to go along and see him – I can’t believe I did it – he used to live in York and I used to go over to his house, I just knocked at his door and went in! I realise now what an imposition that was. He was kind. He’d say ‘come in and have a cup of tea, let’s have a look at these poems’, and we’d talk about them. I just think that, if you can’t encourage people, then don’t bother. If someone sends me a book to review and I don’t like it, I send it back and say, look, get someone else to review it. I think for me there’s always been this split between the avant-garde and the populist, and I’ve always embraced the avant-garde. I love reading strange and weird stuff, I love reading J. H. Prynne, but on the other hand, I enjoy standing up and performing, making people laugh and making them think that this can be an inclusive thing. I’ve always tried to be generous and not exclude anybody, because I know how bad it is to be excluded, when people take no notice of your work. I think for me the dilemma is always then, where do you find the time to read it all? You must find that. All the books, all the magazines, all the poems that people give you – if you’re going to give them all the right amount of attention you should, then how on earth do you do it? I mean, today is an unusual day, that the postman didn’t bring any books of poetry or magazines, but I know tomorrow I’ll just get twice as many. So that’s the thing, to be generous – and I like to be generous – there’s this dilemma of when, where do you find the time to read it all? We also wanted to ask – you’re known particularly as a Yorkshire poet. How you step out of the role as regional poet? Well I think the more local you can be, the more universal you become. I always quote Roy Fisher, who stated in one of his poems, ‘Birmingham Is What I think with’. I like the idea that Barnsley is what I think with. I can still think universally though. If you think of someone like Tony Harrison who thinks with Leeds – you can think as locally as you can, and still be universal. I was thinking about what Andy Croft said, that you go to an event and say: ‘We’ve got some local beer!’ and then everyone will cheer, then you say ‘We’ve got some local cheese!’ and everyone says go ‘Oh great!’ Then, you say ‘We’ve got some local poets!’ and people sigh. So somehow, the local poets are left out. But really, local poets can be as good as the perceived national poets. Have poetry awards become an important part of the life and culture of poetry? I think it has in the last forty years – there’s been an explosion in the numbers of poetry competitions. The reason I like poetry prizes, is that they make the poems stand alone on their own two feet. If you take a poem along to a workshop then you know you can sit around and talk about the poems. If someone sends a group of poems to The London Magazine, they know you’ll respond. But, with a poetry competition, you know you’ve got to write the best poem you can because you want it to win some money – you want it to capture the attention of the judges. I think they’re great for poetry. They make people sit down and write good poems. Do you have any recommendations of new voices, new poets or collections that you really think have stood out? There’s someone I’ve just read, Nia Davies from Hafan Press’s Boiled String Chapbook series. Her pamphlet I think is remarkable. It’s called ‘Long Words’ and she’s taken long words from other languages and used the word as the basis for a poem. For example, her first poem in the book is called ‘The Hatch a Bullet Flies out of when Exiting a Tunnel’ which is a translation of one single Estonian word. So she’s taken these words from the Estonian language, from Croatian, from Hungarian and made fantastic poems out of them. She’s a real find, as far as I’m concerned. There was someone else I was getting excited about… Sam Quill. In the PN Review, he had 14 sonnets that are quite remarkable. He lives in South London and apparently these sonnets were his first in print which is exciting. I’m always getting sent stuff and getting excited, which is good because it proves there’s plenty of exciting things happening. And finally, could you say a few words about our upcoming Poetry Prize 2016? Well, the poetry competition is a level playing field, whatever you send in will be on the same level as everyone else’s. If people don’t know who you are that doesn’t matter. 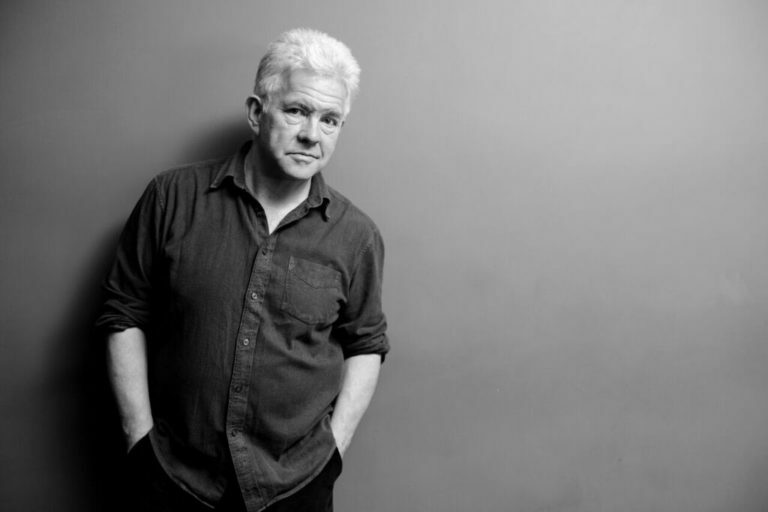 Ian McMillan is poet-in-residence for The Academy of Urbanism and Barnsley FC. 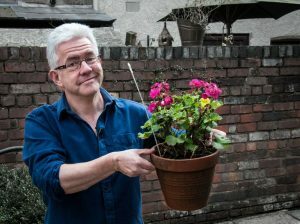 He presents The Verb every week on BBC R3 and he’s a regular on Coast, BBC Breakfast, Countryfile, Pick of the Week and Last Word. He’s been a castaway on Desert Island Discs. Previously he was resident poet for English National Opera, Yorkshire TV’s Investigative Poet and Humberside Police’s Beat Poet. His rip-roaring poetry shows are legendary. Cats make him sneeze.